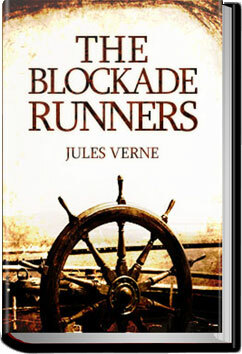 Writing at the end of the American Civil War, Verne weaves this story of a Scottish merchant who, in desperation at the interruption of the flow of Southern cotton due to the Union blockade, determines to build his own fast ship and run guns to the Confederates in exchange for the cotton piling up unsold on their wharves. His simple plan becomes complicated by two passengers who board his new ship under false pretenses in order to carry out a rescue mission, one which Capt. Playfair adopts as his own cause. This is going make the Rebels in Charleston rather unhappy with him. Sure, his new ship is fast – but can it escape the cannonballs of both North and South? This entry was posted in Action/Adventure Books and tagged all you can books, audio books, books, download audio books, free audiobooks download, free ebooks for kindle, listen to books online free, unlimited action and adventure books on April 29, 2014 by allyoucanbooks.